Google Rolls Out Its Own Version of "Lookalike Audiences"
Facebook isn’t the only platform that allows marketers to target lookalike audiences anymore. 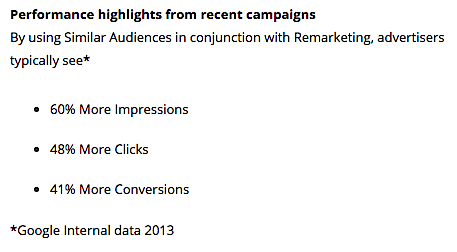 In April, LinkedIn rolled out Matched Audiences for advertisers. And on May 1st, Google announced that they’d be rolling out their “Similar Audiences” tool for Search and Shopping – their own version of lookalike audiences. It’s pretty well known that marketers can target customers at different stages of the decision-making process through AdWords. Depending on their search terms, you can filter your ads based on where potential customers are at in their buyer’s journey, and this lets marketers get much more value out of Google advertising. 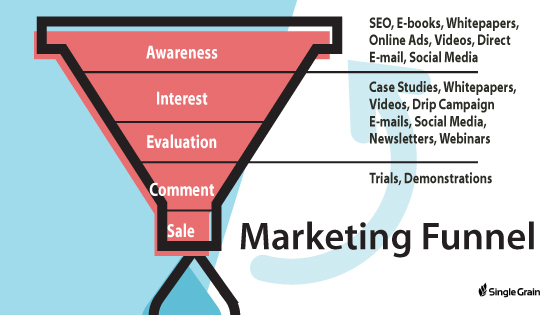 For example, you could present one piece of content to people who are at the “awareness” stage, and a different piece of content to those at the “evaluation” stage. But until now, marketers have had to largely guess which keywords their audience is searching for in order to effectively target through an AdWords campaign. With Similar Audiences, you can target people who are similar to previous site visitors, and market your content to them. Free Bonus Download: Get our free marketing guide to learn tactics that have actually generated millions of dollars for our clients. Click here to download it for free right now! How Does Similar Audiences Work? Let’s say you’re a marketer working for an airline company that wants to get more bookings from business travelers. Google will look at your recent visitors and find patterns in their search behavior (i.e. searching for things like “planes with the best wifi,” “airlines with business perks,” etc.). This way, you can find new potential customers who are searching for the same type of content that your existing customers are. According to Google, these features open up new opportunities for marketers to find new targeting frameworks to grow their business. You might find out that layering on a generic search term in your niche works better for you when combined with Similar Audiences. Google also rolled out a Customer Match feature for the Shopping platform. This feature allows you to upload your own email lists so you can focus advertising campaigns on high-value leads. For example, you could take a segment of your list that already purchased something from you, or take a segment of people who have interacted most with your brand, separate your best customers from the rest of your leads, and then advertise specifically to those people through Google Shopping. Google has listed a few early success stories from major brands like GameStop, John Deere Tractors, and Fiat Chrysler Automobiles. GameStop used Google Similar Audiences to find new gamers who matched the demographics of their best users – and increased their conversion rate by 30%. John Deere noticed a click-through rate boost of 300% after putting their ads in front of similar customers, and a 31% conversion rate boost. 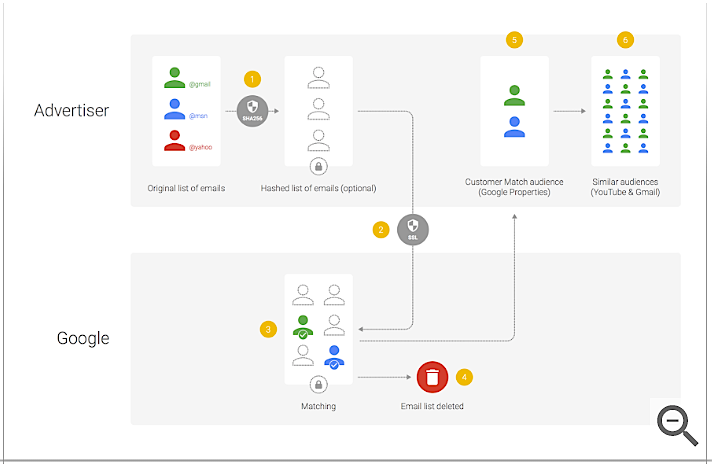 Google is rolling out their Similar Audiences feature as more and more ad networks are building capabilities for marketers to re-market to their existing customers, as well as find new customers with similar demographics as their best buyers. Did you know that Google Is Integrating a New Job Portal into Search? Read about it right here!